As we look towards another year, two important lenses come to the fore. That of the years immediately before alongside that of our hopes (or fears) for the year ahead. Such hopes or fears are most often personal related to family, well-being and some sense of general security. Increasingly though, in today’s world, our hopes/fears relate uneasily to broader national and international issues. This process of reflection becomes all the more uneasy when our own society faces a series of fundamental challenges and crises all of which impact on us individually and collectively. As we ponder a world of unheard of inequality and the imminent realities of climate change, Malta itself faces its own specific deep-seated crises, any one of which alone should generate more than a few sleepless nights. Four particular crises stand out for me. One, a deepening and ever widening democratic deficit which now affects all aspects of life in Malta. The gap between what is said about democracy and the rule of law and what actually exists has become a chasm. Two, far too many Maltese now boast of an ‘exploding economy’ yet this exists alongside an imploding society- all that matters now is our economy. Our society and, more importantly our communities are of little consequence. Three, an ongoing refusal to acknowledge in any meaningful way Malta’s deepening environmental crisis as the country completely ignores any sense of natural limits or boundaries. There is an important fourth crisis which, as an educationalist, bothers me the most. We live in a society where an apparent majority of citizens deny the very existence of these crises. The majority appear to faithfully believe that there are no limits to Malta’s ‘growth’ and that ever-increasing widespread ‘corruption’ without accountability are a normal way to do the daily basis of living in or running a country. This denialism (and its accompanying ‘debate’) on very many issues is simply breath-taking and smacks hugely of ‘small-island virus’. And the consequent damage is colossal with a legacy stretching way into the future; a legacy today’s Maltese will leave to their children and grandchildren. Many naively or dishonestly argue ‘outsiders’ or ‘outside influences’ are responsible but even primary school grade reflection suggests the rot is internal (and, by no means unique to the current economic and political elite except perhaps in scale and sheer arrogance). So, looking ahead to 2019 positively, here’s my very brief wish list. Firstly, more and more of us need to (critically) support the diverse organisations, activist groups and individuals who are campaigning on a range of key issues from systematic corruption, environmental ‘hooliganism’ and general despoliation across our islands and our societies. If Malta means anything to us, we simply must add our individual voices and energy to a growing collective insistence that democratic values and practices are upheld in reality not simply in posture. It is increasingly vital that those who raise their voices against evident abuses are not left isolated and exposed, especially where political or economic retribution are practised. Individually and collectively, we need to challenge the mantra of fatalism – ‘there is nothing I can do’ or ‘they’re all as bad as each other, it has always been this way in Malta’. Secondly, there is so very much each of us can do on a daily basis to protect Malta environmentally. Simple logical actions such as ending evident rampant waste would be a hugely important start (in energy, food, water and plastics). 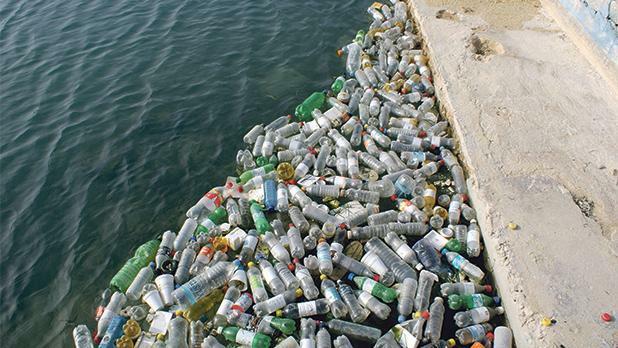 The disease of single use plastic bottles is urgent. Insisting that official Malta (in government and business) match their actual practices with their PR would be a next logical step-up. Thirdly, each of us needs to routinely remind ourselves of the difference between a society and an economy. The current scramble for individual financial gain and wealth at all costs and without concern for others or the environment will eventually undo Malta as a society. Having no substantive care for those swept aside or left behind will impoverish the society in which we all live. And, as in so many other countries following on ‘economic miracles’ the sense of anger and betrayal felt by many will have significant consequences. Finally, there is a pressing need for greater thought, reflection and debate. Leaving serious debate to what occurs on social media is highly dangerous to social well-being. So too, the oft-cited individual response ‘I have no real say’. It should be a key priority for all of us in education and public information and awareness to actively promote and increase critical debate in 2019. My most important wish for 2019 is that we begin to reflect honestly and genuinely on what kind of Malta we want. One where the wealth and power of the elite and their ‘faithful’ dominate everything or one where the voices, needs and values of society at large are nurtured. Every individual on these islands has the right as well as the responsibility to be heard not just about their individual interests but about our collective future. In 2019, the role of the collective individual and everyday activism is pivotal. Better to work to create the change we desire than to wait for the changes we dread.